Start looking through your photos to make the perfect Christmas gifts and use this great DEAL on Shutterfly – 50% off! Offer expires November 11, 2018 (11:59 P.M. PT). 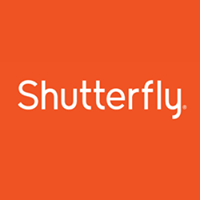 Offer is good for 20% off prints and photo cards, 40% off new kids and pets collection and 50% off most products through shutterfly.com, our mobile-friendly site or the Shutterfly app. Discount will be automatically applied, no code is needed. Click here to get this DEAL from Shutterfly.